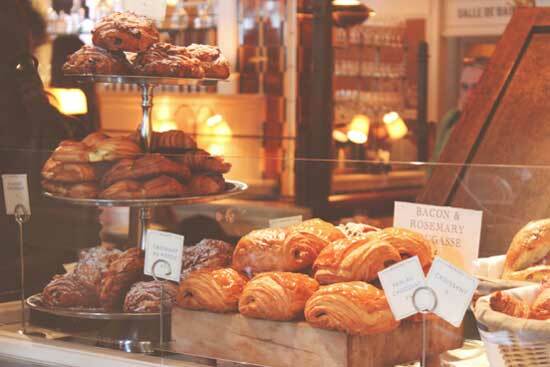 For millions of people around the globe, there’s simply nothing better than French cuisine. Ask French foodies about their favorite dish and you can expect a tortured monologue that can last for ages: “A juicy magret de canard! No, no… a simple onion soup! But, oh, but I love seared fois gras too…And what about the cheeses? You can’t make me choose between Époisses and Brillat-Savarin!” And so on. What is it about French food that makes it so celebrated? Is it really so mind-blowingly delicious? In truth, most French cuisine enthusiasts don’t merely cherish the taste of French food, but the culture that embodies it. In France, food is sacred. When preparing a dish, the freshest, best quality ingredients one can afford are chosen. Before anyone eats a bite, the table is laid with care, even if it’s just a simple lunch. During the meal, people put away their phones and no one watches the clock. Eating is a celebration of both the food before you and the company around you. It is this reverence for food that many lovers of French cuisine value as much as the food itself. Every French food journey begins at the market. Most cities and large towns feature a market at least twice a week, sometimes every day. Smaller towns and villages have a market once a week. 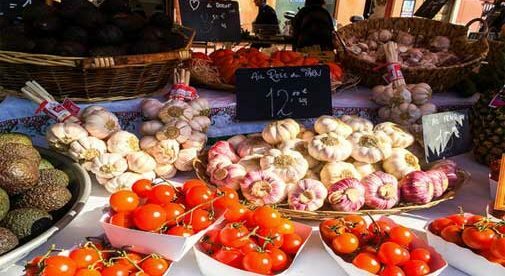 Some of these markets date back for centuries: one, on the Ile de Ré in western France, boasts that the market has been in existence since the 14th century. In Paris, the Marché des Enfants Rouges dates from 1628. 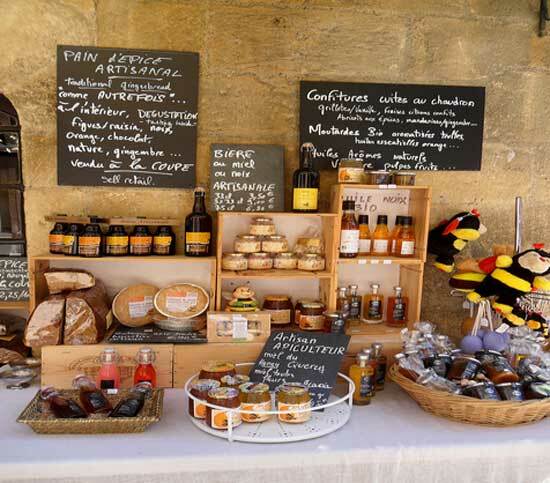 A good French market has virtually everything one needs to prepare the meal of your choice: butchers, fish mongers, cheese vendors, produce farmers, producers of local specialties, such as hone or olives. Naturally, people have their favorite markets and favorite vendors. It’s not unusual to see a long queue, some 15-people deep, for a certain fromagier (cheese-maker), while another cheese vendor a few stalls down has only a few customers. The French take quality very seriously. They scrutinize the offerings carefully and ask questions about their intended purchase before buying. What Are Typical French Meals Like? For the most part, there is no “typical” French meal. 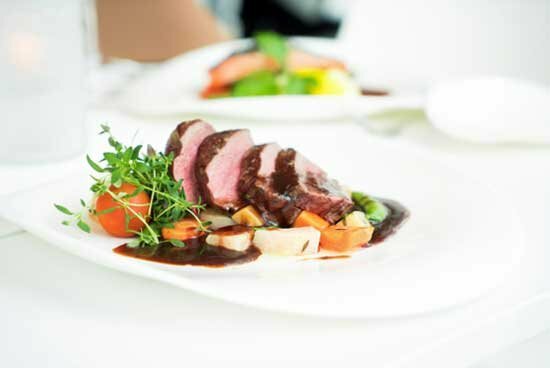 Although people often use the broad label “French cuisine” to describe French food, most French dishes are region-based and thus vary depending on where you are located. The main exception is breakfast foods. For breakfast, the French often eat tartine: a slice of bread, usually a baguette, smothered with a fruity jam. This is sometimes accompanied by yogurt and a croissant, and almost always accompanied by coffee, hot chocolate or orange juice. On weekends, it’s common to pick up freshly-made viennoiserie from the bakery: croissants, pain au chocolat (chocolate croissants), pain aux raisins and more. Lunchtime meals vary by region. But one thing that typifies the French lunch is its length. A few decades ago, lunches were akin to mini-dinners, lasting for hours and served with wine. 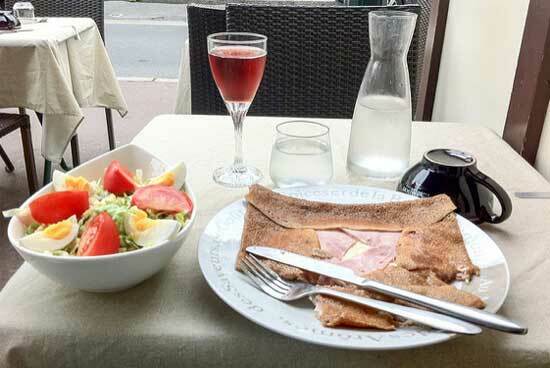 These days, French lunches are shorter, but are still leisurely sit-down affairs that last about an hour. True, in some big cities like Paris, a few people may commit the sacrilege of hastily eating a sandwich. 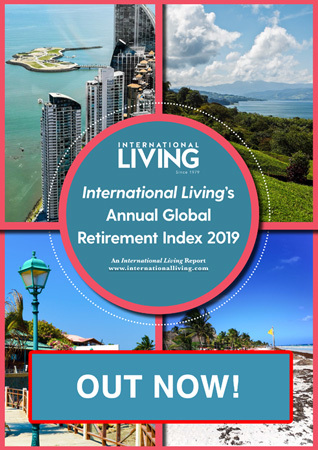 But for the majority of French people, lunch is a highly valued moment to take a break from work and socialise with peers and friends over good food. Once again, a typical French dinner depends on the region. However, the structure of a basic French dinner tends to be unvarying. A four-course meal is served as follows: entrée (the appetizer), plat (main course), fromage (cheese) and dessert. Sometimes there is also a salad course, which would follow the main course. If both fish and a meat course are being served, the fish would come before the meat. Apéritifs and digestifs usually bookend French dinners. The apéritif occurs at the very start of the meal. Alcoholic and non-alcoholic drinks are served along with small appetizers, such as nuts or olives, to stimulate your appetite. By contrast, the digestif happens at the very end of the meal. Guests are served drinks with a high alcohol percentage, such as whiskey, bourbon or a liqueur, to aid digestion. To truly get to know “French food,” you have to know the regions. Despite the hoity-toity reputation that many French dishes have, most have humble origins – not created for kings, but for farmers and labourers. Now-famous regional specialties were largely based on the local products that were available at that time. That’s why you’ll find plenty of apple-based and dairy-heavy dishes in Normandy, a region rolling in apple orchards and dairy farms. 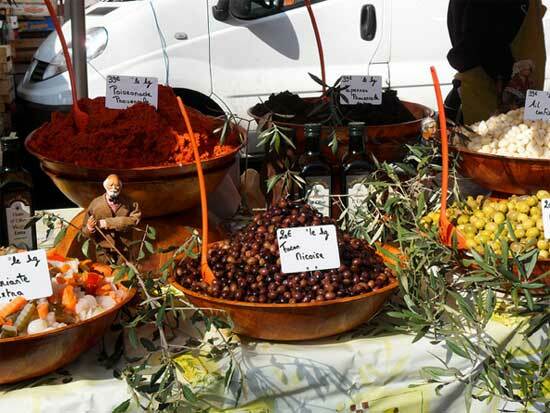 In Provence, the cuisine features the olive oil that comes from the olive groves of the region. Let’s take a look at the cuisines from some of France’s most popular food regions. 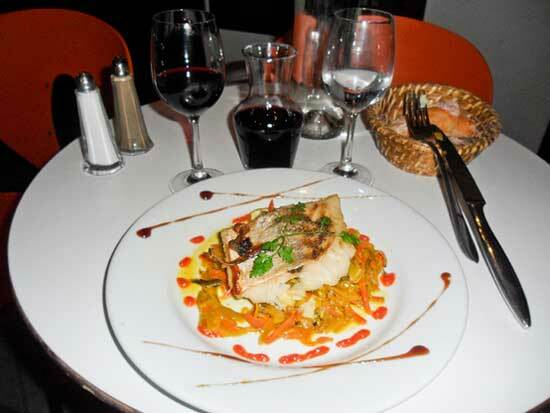 Lyon, France’s third largest city, is the natural place to begin an examination of French food. The city is so renowned for its outstanding cuisine that it’s referred to as “the gastronomic capital of the world”. Home to nearly 2,000 restaurants, Lyon has produced some of France’s most famous and innovative chefs, including the legendary Paul Bocuse, who popularised nouvelle cuisine. Traditional Lyonnaise cuisine is hearty, stick-to-your-bones fare that should be avoided by vegetarians or anyone who prefers eating light. The cuisine often features pork (in every permutation, from snout to feet), chicken and duck (particularly the livers) and offal from a variety of animals. The adventurous eater will enjoy dishes such as salade de foies des volailles (salad with pan-seared chicken liver), tête de veau (poached calf brains), or tripes à la Lyonnaise (tripe fried with onions and garlic). The less adventurous among us will go crazy for quenelles de brochet, a delicious fish dumpling covered in a creamy lobster sauce. Salad Lyonnaise (green salad with bacon and poached eggs) is also a great choice, as popular, as is fonds d’artichaut et foie gras (artichoke hearts with foie gras). If you want to sound more adventurous than you are, try cervelles de canut. Although this translates as “silk worker’s brains,” it’s really just fromage blanc (the French version of sour cream) with shallots and herbs. When in Lyon, be sure to eat traditional food in a bouchon. A bouchon is a tavern-style restaurant that once served the silk workers that populated the city in the 16th and 17th centuries. While the city has many excellent bouchons, the Comptoir Abel has the reputation of being the most authentic–it’s been serving up meals since 1928. 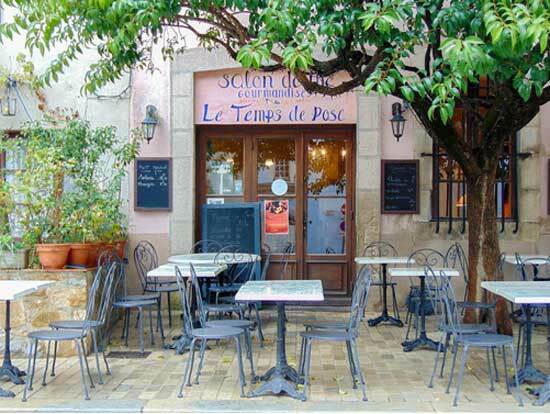 In contrast to the heavy fare of Lyon, in Provence food seems feather light. Provence is a region in the south of France, known for its lavender fields and olive groves. The cuisine is distinctly Mediterranean, featuring plenty of fish, vegetables, olive oil, garlic and herbs. The region’s most famous dish is probably bouillabaisse, a fish stew that comes from Marseille. Coming in second for best-known is likely ratatouille, a vegetable casserole made of tomatoes, zucchini, aubergines, onions, peppers, garlic and a healthy dose of olive oil. 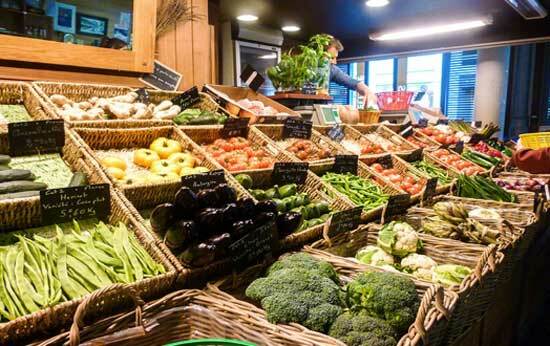 Also popular is petite farcie – assorted vegetables, from tomatoes to peppers, stuff with minced meat. One of the heartier local dishes is daube provençal, a beef marinated in red wine with onions, garlic and herbs, and served over pasta. Even in Provence, dishes can be narrowed down to a precise origin. You’ll often see certain foods labelled “Provençal”, but they’re actually Niçoise–from the city of Nice. Typical examples of Niçoise food is socca, a chickpea pancake, pissalidière, an onion tart and, of course, salad Nicoise–a salad primarily made of tomatoes, tuna (or anchovies), hard-boiled eggs, and onions. Other ingredients, such as potatoes or string beans, may also be included, but will inevitably upset some purists. On France’s northwestern coast, you’ll find the regions of Normandy and Brittany. Each have their distinctive dishes, but being so close to the ocean, both are known for having excellent and huge variety of seafood and shellfish. Beyond seafood, you’ll find plenty of apples in Normand cuisine and products, such as Poulet Vallée d’Auge, chicken roasted with apples, Tarte aux Pommes (apple tart), and Calvados, an apple brandy. 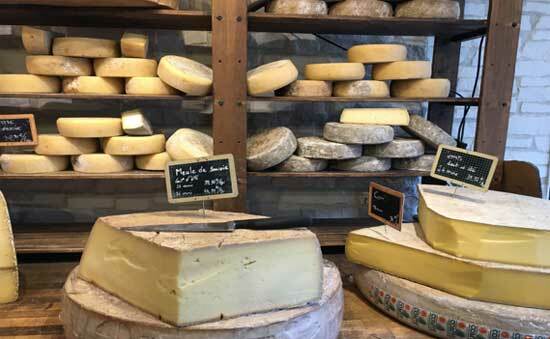 Normandy, dairy country, is also known for its excellent cheeses, most notably the famed Camembert. Brittany best stands out for its crêpes. Savory crêpes are typically known as galettes. These are made with buckwheat flour and are commonly served with eggs, ham, and cheese (although fillings can run the gamut of ingredients). Sweet crepes are often slathered in salted caramel, or chocolate, or simply sprinkled with butter and sugar. Writing about all the regional cuisines of France could fill a book. In Burgundy, you’ve got boeuf bourguignon, a rich beef stew cooked for hours in red wine. From the Alsace in eastern France, comes cuisine with a distinctly German touch, including choucroûte garnie (sauerkraut with boiled potatoes and sausage), flammekueche (a savory thin-crust tart with cheese, onions and bacon) and bäckeoffe (a casserole made with assorted meats, potatoes and leeks). In the southwest, expect lots of spiciness from Basque country cuisine. Here, dishes tend to be enhanced with red Espelette peppers. Try the Omelette piperade, a tarte-like omelette filled with tomatoes, onion, espelette peppers, olive oil and garlic.